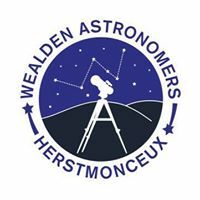 Wealden astronomers will be at the Observatory Science Centre, Herstmonceux this Saturday night 25th October 6:30 till 11:00. Come and say hello. If the weather is not in our favour - and we are unable to view, there will be a full tour of the telescope domes. Don't miss out.